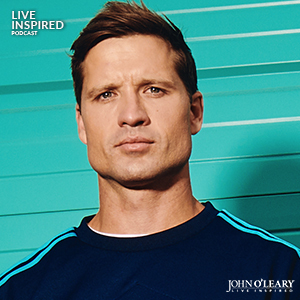 John O'Leary shares a preview of future Live Inspired Podcast guest Walker Hayes. I had so much fun talking with my new friend + country music star Walker Hayes, that we stayed on the phone for two hours! We only had 45 minutes scheduled for his interview. That, my friends, has never happened before. I couldn't wait to share a little of the fun with you. So today, you get a preview! Get the entire conversation next week on Live Inspired Podcast ep. 144. Did you enjoy this episode? Subscribe, rate & review on Apple Podcasts or wherever you get your podcasts. Live Inspired with John daily on Facebook, Twitter, YouTube, LinkedIn, Pinterest, Instagram + get his Monday Motivation email. The post Live Inspired Podcast: Walker Hayes Preview on Monday Moments ep. #141 appeared first on John O'Leary.